It’s probably safe to say that yoga and heavy metal aren’t interests often mentioned in the same breath. Yoga practitioners are typically concerned with mental and spiritual harmony, while metalheads embrace musical cacophony, grimness, and lyrical themes which are frequently confrontational and unsettling. On the surface, it seems like these two worlds are irreconcilable, but a Pittsburgh husband and wife team are trying to find a crossroad where heavy metal and yoga can exist together in harmony. 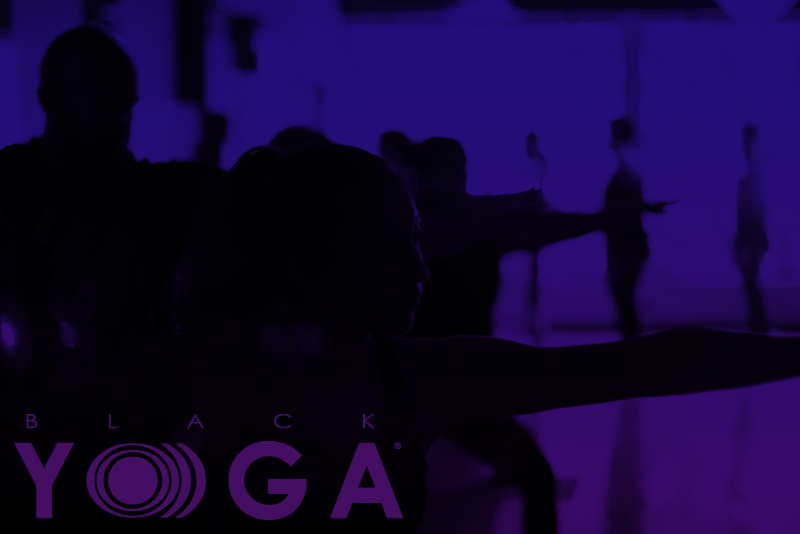 Birthed in 2012 by Scott and Kimee Massie, BLACK YO)))GA seeks to merge Vinyasa yoga with heavier music not generally associated with the discipline – such as drone, stoner metal, and industrial. The idea sprung from a road trip conversation regarding Kimee’s desire to teach a yoga class that was, according to Scott, “a little outside the box”. The couple started with CD’s that were currently in their car, including Locrian’s Crystal World and Sleep’s Dopesmoker, and created a basic template from there. When the couple returned from the trip, they contacted a friend of Scott’s named Chad Hammitt who they felt would be interested in collaborating and who had similar musical tastes. “At first it was pretty easy,” said Scott, “Chad and I created a playlist in iTunes called the BLACK YO)))GA Library, where we’d put anything and everything from our own collections we thought might work for a yoga class. At that point, we really had no idea yet, we were just throwing everything in there that didn’t have blast beats or pterodactyl vocals.” The initial playlists consisted drone bands such as Sunn O))) (who inspired the class’s name), Earth, and Neurosis intermingled with industrial and electronic acts like Nine Inch Nails, Porishead, and Tribes of Neurot. The group rounded out this more aggressive music with a bit of post-rock, goth, movie scores, and meditation music. Once the group had created a few mixes, they set about play testing each mix by actually doing yoga to the music to see what flowed and what didn’t. After 6 months of work and some additional outside musical recommendations, the trio had created twelve separate mixes to use in the class. Interestingly, as time has passed, people have begun contributing their own works to BLACK YO)))GA. “ When the word got out some that we were doing this, people actually started making original music and sending it in for us to use, just because they thought it was a cool idea and wanted to be part of it, I guess,” said Scott. Currently, Kimee teaches two BLACK YO)))GA classes a week. One is held Wednesdays in the Murder Room at the Commonwealth Press Warehouse, a DIY space in a printing warehouse, and the other’s on Tuesdays at Nadia Salon, a more traditional yoga studio. According to Scott, there are around a dozen students between the two classes and new people are coming all the time. If you’re interested in participating, you should check out the group’s Facebook page for class times and addresses of the locations.